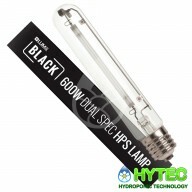 600W LUMII BLACK HPS LAMP The LUMii BLACK Lamp is a 600w Dual Spectrum, High Pressure Sodium (HPS) Lamp with an E40 fitting. 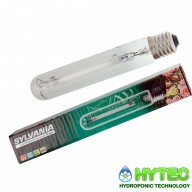 Perfect for stimulating enhanced flowering Offers 20,000 life hours 88,000 Lumens. 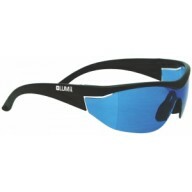 For best results, we recommend using them with a LUMii or LUMii BLACK Bal..
Lumii SUNBLASTER 600 watt lamp The LUMii SunBlaster lamp is available in two sizes - 400w and 600w. 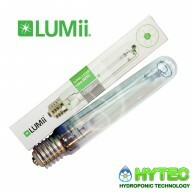 The 400w lamp gives an output of 140 lumens per watt (56000 lumens) and the 600w lamp gives an output of 155 lumens per watt (93000 lumens). 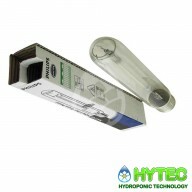 The crystal glass used offers consistent thickness w..
Powerplant 600W HPS Lamp Efficiency - PowerPlant lamps provide more lumens per watt than other lamps More usable light energy without sacrificing intensity or lamp life Flexible Retro Fit - Both PowerPlant HPS and PowerPlant MH are designed to run on the same control gear Full Spec..
600w Grolux lamp 600w Grolux Lamp Made by the lighting giant Sylvania, the Grolux is a high quality dual spectrum lamp that has been our best selling lamp for a long time. 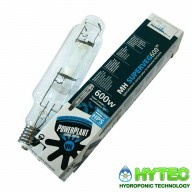 Compared to the PowerPlant Super HPS and other standard sodium lamps, the Grolux has more light output in the blue end of the..
600w Powerplant Metal Halide Retro Bulb Metal halides have the more balanced spectrum. The light they give out has a significant amount of light from the bluer end of the spectrum, which the plant uses to grow vegetatively. 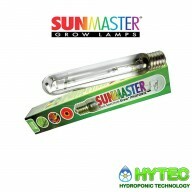 It produces plants with a small internodal length, with large l..
Sunmaster 600w/400v Dual Spectrum SHPS lamp This Sunmaster 400v 600W HPS grow lamp emits both red spectrum and enough blue spectrum light to be used as a sole light source throughout all stages of growing. This eliminates the need to buy separate metal halide and HPS bulbs for the veget..
Philips Greenpower 400v Lamps are top of the range plant cultivation products that have been specially designed for use with market-leading electronic lighting systems. 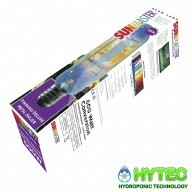 Producing lots of blue and red light (dual spectrum), these sensational bulbs will stimulate incredible growth from your plants dur..
600W SUNMASTER 10K FINISHING LAMP Ultraviolet radiation is quite important in biological photochemical reactions as well as in the elimination of certain mildews. Engineered in Ohio and utilizing specialty chemicals optimized in Illinois, Sunmaster’s FINISH delivers the perfect light s..